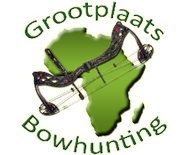 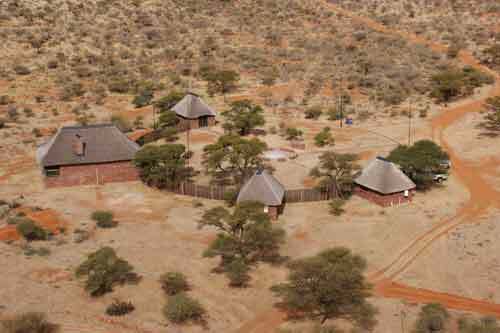 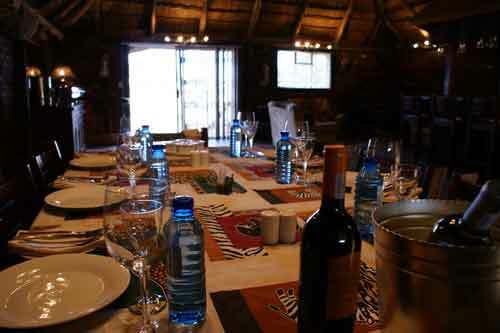 Grootplaats Bowhunting Lodge offers everything for the passionate bowhunter: warm luxury rooms, accomadating 2 hunters per chalet, with their own private bathrooms en suite. 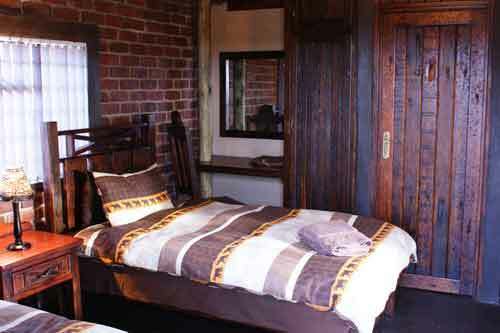 Wonderfull staff to make sure that your stay will be comfortable, relaxing and thrilling at the same time. 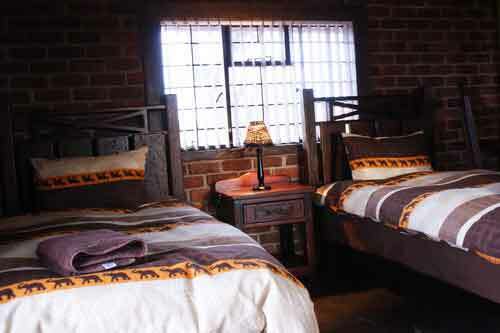 Matters like meals, laundry, and daily chores need not worry you, as our staff will gladly take care of that. 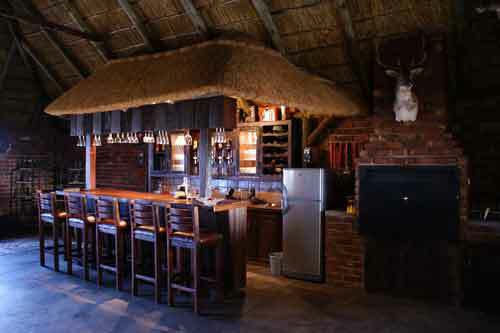 The chales are within walking distance from the Hall where the our hunting guests will find everything from a warm breakfast to a sitdown supper. 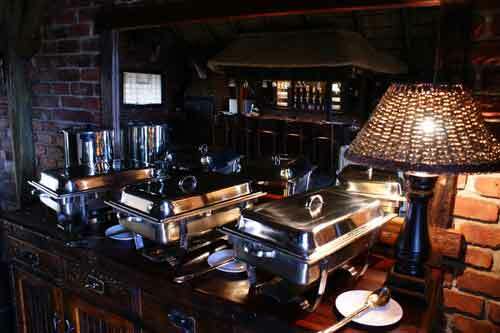 Food is prepared by wonderful kichen staff who has are passionate about preparing only the the best dishes our traditional quisine can offer our international guests - from starters to desert. 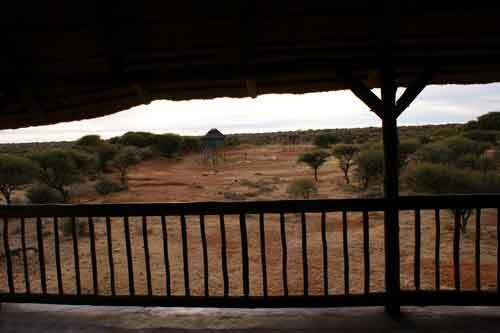 A chill-out area and balcony overlooking a waterhole make for the ideal place to exchange hunting tales and stories after the hunt and by night you can look at the animals visiting the watering hole (equipped with a nightligt) while you enjoy a nightcap. 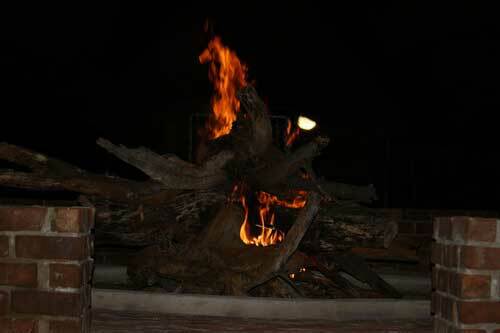 Bombfires will be made at night in the central area in the middle of the lodge, where everyone can gaze at the beautiful night sky, listen to the insect life coming to life or try to find that old bullfrog making his mating calls or the noisy crickets trying to attract a mate.